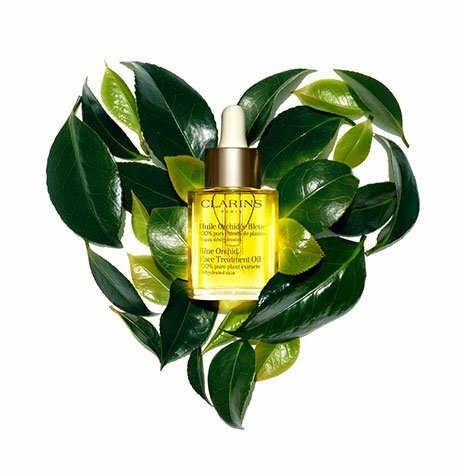 Hydrating face oil formulated with 100% pure plant extracts to help restore radiance, tone and vitality. Rated 5 out of 5 by gabrelle_gabby from Great multi-use toner I can use this to after removing makeup, to remove Clarins masks and as toner. Every night I use this to make sure that makeup is removed completely after I use the Clarins Cleansing Milk with Alpine Herbs. Every morning, I use this as a way to wake up since I love the scent and then apply my skincare after using this toner. This also works very well to remove my SOS Hydration mask and eye masks after I layer the masks on my face for 10 years. I tend to switch skincare products often, but I never forget this toner. Rated 5 out of 5 by 48ClarinsMan from Refreshing, soothing, and without parabens I am relatively new to Clarins. I am a year in, still trying to find my absolute routine for my male, aging face....I’m 48. I bought the Clarins Iris Toner first as I liked the smell, the marketed plant ingredients, and it seemed like a great morning toner. However, despite liking the product, I couldn’t continue to use the product as it contains PARABENS. So I bought the Toning Lotion with Chamomile which has no parabens and is alcohol free. Although I now use this Toning ritual mostly at night time. Rated 5 out of 5 by Jenny07 from Just started and loving it It’s just been few days that I have started using this toner and already in love with it! It makes my skin baby soft! I hope I can see manor difference after like 2 weeks or so! Eek can’t wait! Rated 5 out of 5 by runabout22 from A perfect toner This is the first product I purchased from Clarins; at the time I used competitors face wash and toner, that was irritating my skin; The Clarins counter lady suggested I change cleanser to a water based wipe off type and to tone after every cleansing ; I saw a turn around back to a very good complexion in about 10 days. I never run out of my cleanser or this toner. Rated 5 out of 5 by Cori from LOVE IT For the longest I would use wipes to clean eye-make up and use one of Clarins' foaming cleansers, and thought that's truly everything that I needed, after trying this I was surprised as to how much dirt/residue woulds till be on your face even after using wipes and foaming cleanser. Your skin will feel refreshed and protected. Rated 5 out of 5 by Kbeauty from Best I use the 10-step Korean skincare routine and this toner is the best to start with. It's such an amazing product to start your skincare routine with. I double cleanse (first with an oil cleanser to remove makeup, and then a foam or water-based cleanser to clean my pores and remove residue.) Then, some times, exfoliate. After that, I use the toner. I put some on three cotton pads and swipe my face in three layers with it. Just doing one will make you immediately feel better. If you have really dry skin, this is the way to go. After toning, I put on essence, then serums, eyecream, moisturizer, and then SPF (depending on the time.) This is a HIGHLY recommended product. Rated 5 out of 5 by Retired from Best face care! I have used the cleaning milk and toning lotion for over 15 years and love it. Rated 5 out of 5 by Mikki from Love this! The product is excellent. It makes my skin feel soft and clean plus it smells so nice!